I love Thai food. The spicy fighting the sweet is something I crave. 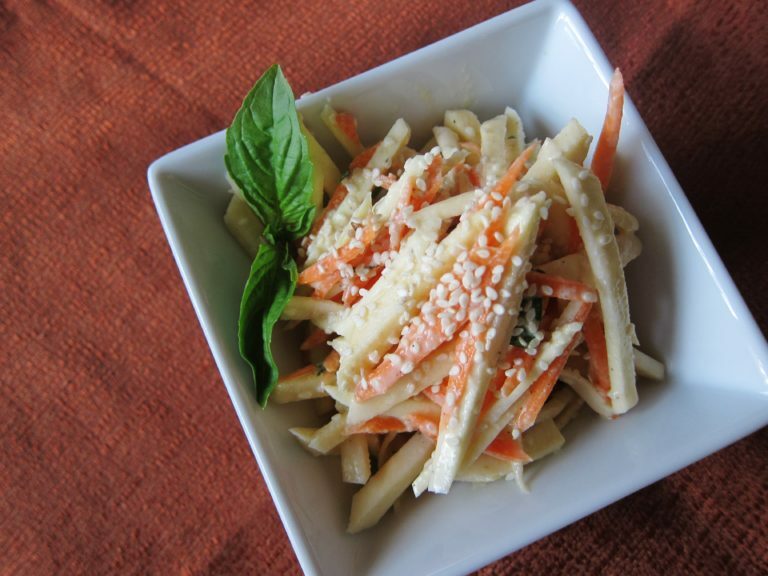 Here is a versatile dish that can be served hot as an entree or cold as a side dish. The overall heat level is mild. My 3-year-old will eat it, but I wouldn’t say it’s his favorite; it’s my husbands! To heat things up, add red peppers or cayenne pepper. Great with chicken, tofu or just veggies. Enjoy! While working in the deli, I often get asked by customers how to prepare quinoa. It is fairly easy, and cooks up fast. Once you get the hang of it, it is something that can be made often. The best part about it is it pairs well with just about any flavor. My favorite is combining it with citrus and crunchy nuts for added protein. 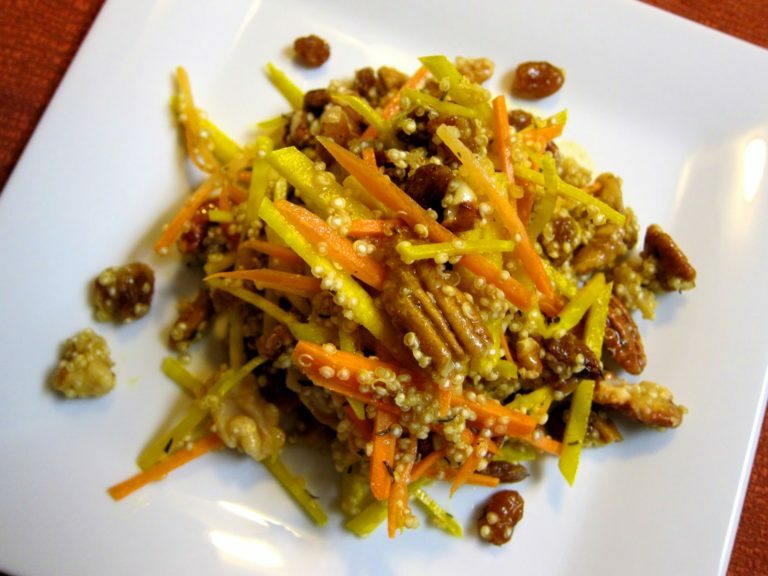 I recently came up with a recipe perfect for this time of the year called golden quinoa. It has plenty of veggies in it and would be a perfect side for a piece of glazed tofu or fish. When I’m working in the deli, customers ask a lot of food prep question. One in particular is how to prepare tofu. Although there are many different ways, my favorite is baked. Tofu is quite easy to make. It is a great add of protein and goes great with salads, soups, or even by itself with a coat of glaze. One of my favorite recipes to use it in is Asian Root Vegetable Stew, and so I thought I would share the recipe with you. 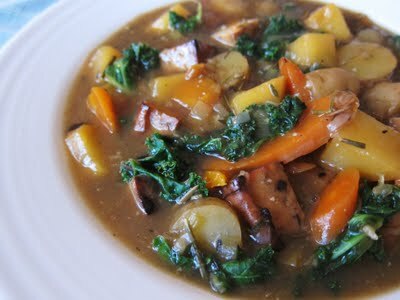 It is so flavorful and warming; it is nutritionally dense with kale and root vegetables. This stew is bound to get anyone to want to try root vegetables and tofu. Its aroma is irresistible, and it tastes even better. I have always loved Lara bars. In fact, I used to eat them for dessert, I thought they were so good. The apple pie was always my favorite; it reminded me of this time of the year, when apples are abundant. Since the ingredients are fairly simple, I thought I would make some of my own. Not that there is anything wrong with buying the packaged ones, but it is fun to create something yourself. 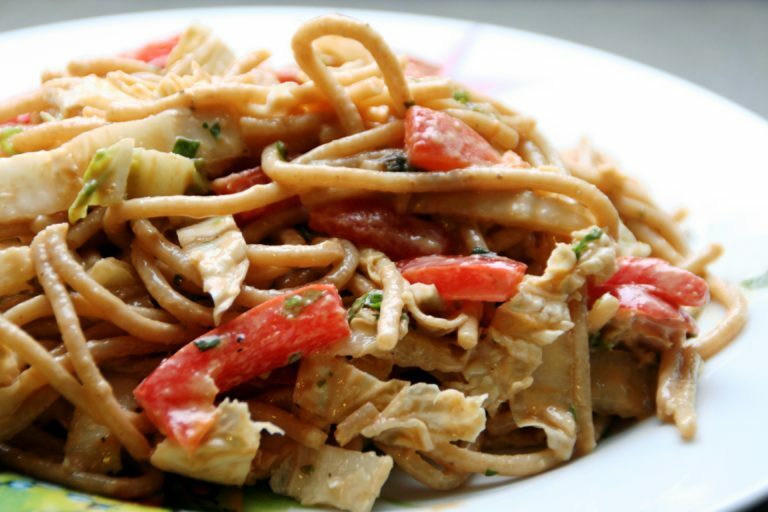 They are quite simple to make, all you need to do is throw all the ingredients in the food processor and voila! Delicious bars! 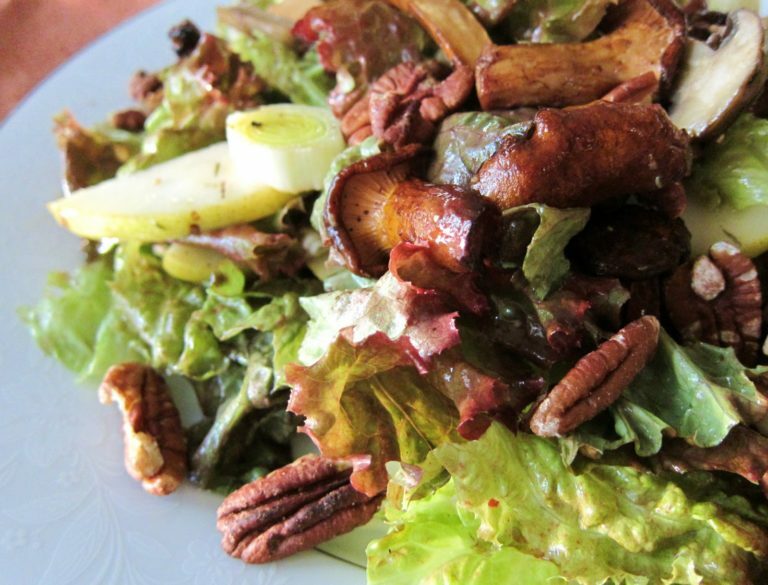 When the chilly air starts to hit, I think more about salads that contain warm elements. I like to combine savory roasted vegetables with sweet things like fruits. Although there are many different possibilities, I am going to share one which was inspired by a salad that I enjoyed when visiting Montreal last year. 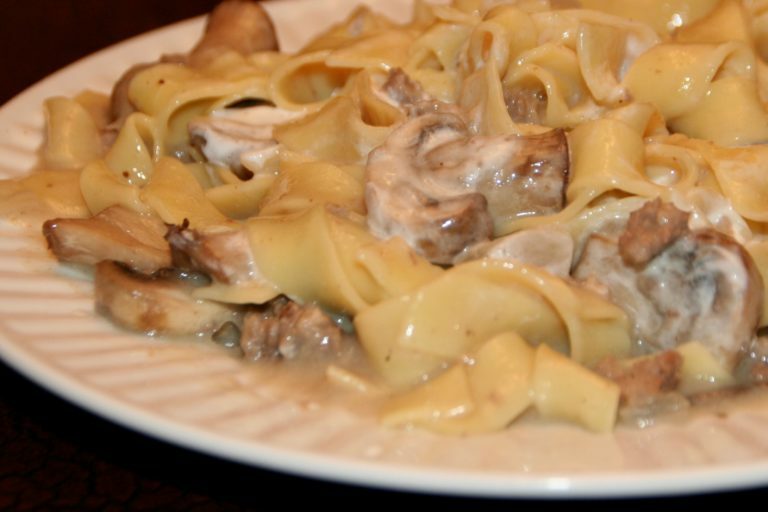 The chef who created it always uses what is in season, or given to him fresh that day, and that day fresh exotic mushrooms and pears were available. You may think that it sounds like an odd combination, pears and roasted mushrooms, but it was wonderful. The mushrooms were so flavorful, and the pears so sweet. They were combined with roasted leeks and crunchy toasted pecans then tossed in a sweet tart vinaigrette. I love the combination. It is something that most people have not had the chance to try, so I make it for occasions when I have people over for dinner and want to serve something special. It would be perfect with a holiday meal! Cakes, pies and cookie pumpkin desserts are everywhere this time of the year. My Mom used to make soft, maple glazed pumpkin cookies when I was younger. 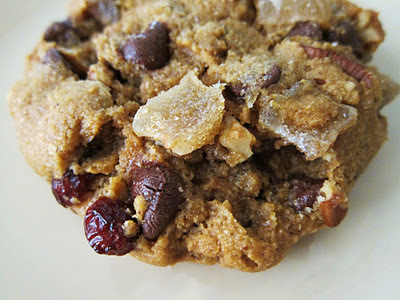 I loved them, but as an adult, I decided to create my own version of a pumpkin cookie. I wanted them to be different than the usual soft cakey ones. So I came up with a recipe similar to that of a chocolate chip cookie which is soft in the middle and a little crispy at the edges. I left the glaze off, added plenty of spice and mixed in lots of add ins that remind me of Autumn. Pecans, walnuts, dried cranberries, crystallized ginger, and of course chocolate chips, because who doesn’t enjoy that? If you make these and share them, you will have some very happy friends and family! When apple season started this year, I was especially excited for the honeycrisps! 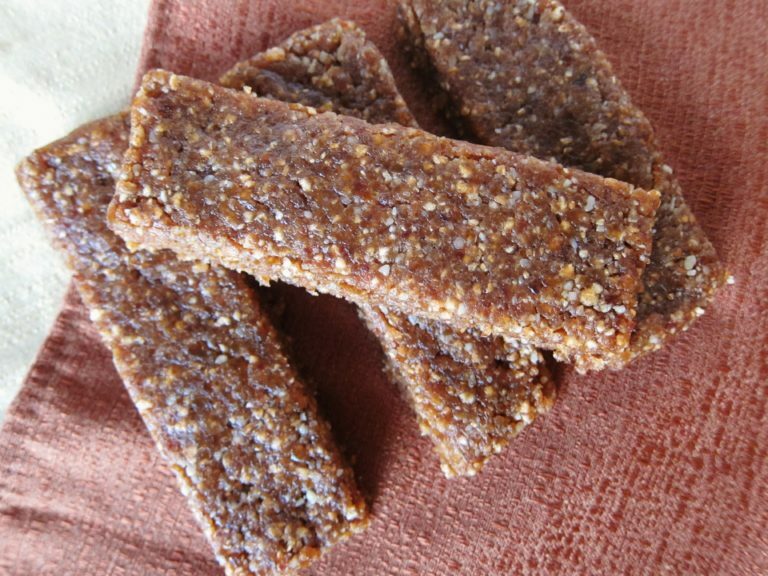 I cannot get enough of them, and although they are wonderful for simply snacking on as is, I love to use them in desserts. I decided to share my recipe for baked apples because it is perfect on a chilly night to warm you from the inside. 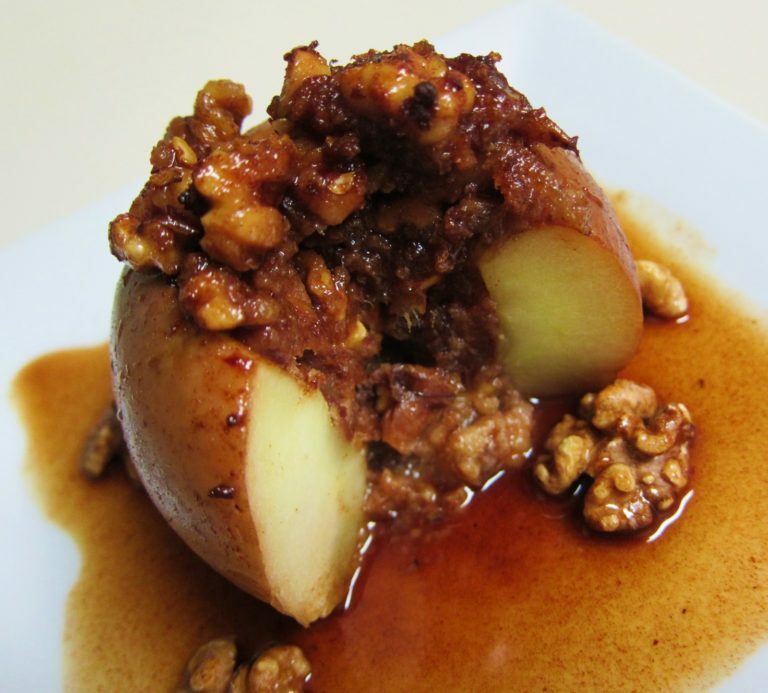 This easy to cook recipe, I kicked up the apple cooking syrup a notch with some chipotle pepper and chili flakes, because I feel the warming go beautifully with the sweet apple and maple syrup. If you are not a fan of heat, you can omit the spice, and your apples will still be delicious. If you wish to guild the lily, serve this with some ice cream! Eating out is great for moms. No making dinner means no dishes! But with the expense of eating out and the uncertainty of what is really in the food, eating out is becoming less and less a tangible want. This is a great pasta to give the feel of eating out without breaking the bank as well as the reassurance of knowing exactly what is in it. As you can tell from the title, this pasta is spicy. My 3-year-old likes spice but not at the same heat level my husband does. To keep it kid-friendly, I let the adults in my house add their own cayenne pepper. This can be scary because a pinch can take you down a spicy road. 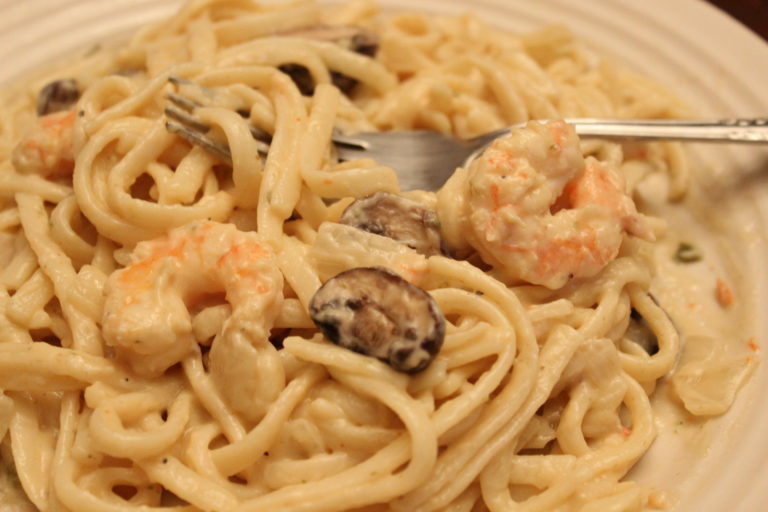 This recipe calls for shrimp, but I have used chicken or sometimes have just done without. Enjoy, we sure do!